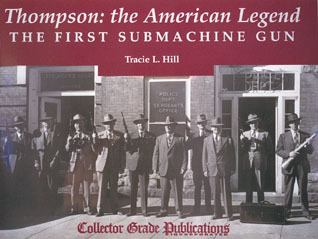 The American Thompson Association newsletter. 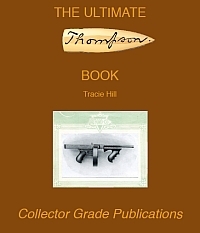 Tracie Hill, Thompson submachine gun appraiser, collector and author of Thompson: The American Legend, and founder of The American Thompson Association, in association with The Unofficial Tommy Gun Page, presents this Internet version of The American Thompson Association newsletter. The Online version of the newsletter provides much, but not all, of the information that appears in the printed version received quarterly by association members. You can receive you own unabbreviated copy of the newsletter, by becoming a member. I hope you enjoy reading the Online edition of the The American Thompson Association newsletter. copy while the book was still available, were shrewd investors.